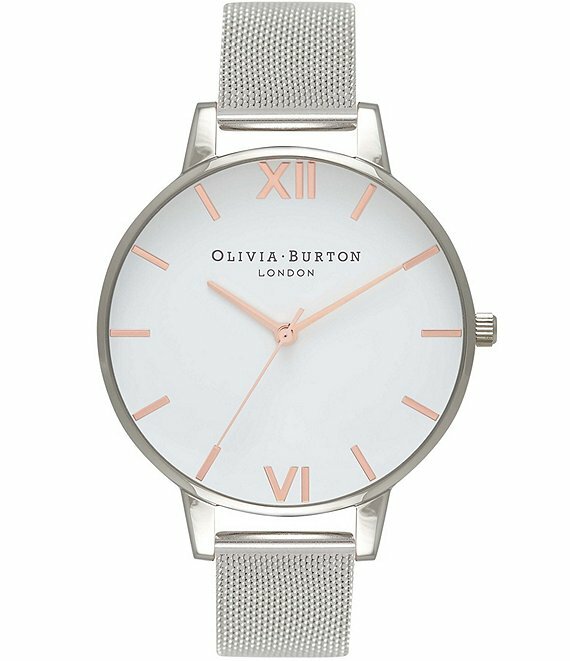 A subtle way to embrace the mixed metal trend, this contemporary timepiece combines rose gold markers and a silver mesh strap. A clean white dial, which measures 38 mm wide, taps into a contemporary mood. Stack alongside our bangles and bracelets for added metallic impact.